Family Law and Sydney's Grandparents: What rights do older generations have? 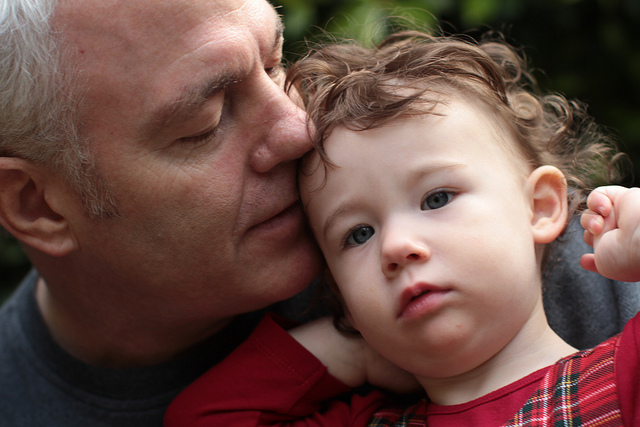 Do Grandparent’s have Family Law Rights? Usually, when you need the help of a lawyer, it’s because circumstances are less than ideal. The sorts of situations where you might need to find out what the legal rights of grandparents are, in relation to their grandchildren, are no exception. They’re positions that no one would ever want to be in. Maybe you’re a grandparent whose adult child has drug or alcohol problems, or particular mental health issues, and you’re concerned about the welfare of your grandchildren in such an environment. Perhaps your child has gone through a divorce, the kids have gone to the other partner, and you’re now being prevented from being a part of their lives. Or maybe you’re raising your children’s children, but aren’t being allowed the same access to services like Centrelink that you would were you a biological parent. On the other hand, perhaps you’re a parent of young children yourself, you don’t have a good relationship with your own parents, and now they want to have regular contact with the kids against your wishes. You don’t want them to exert the same negative influence on your children as they did on you, but what should you, or can you, do about it? All of these scenarios raise the question: how well-defined are the rights of grandparents under our current family laws? To begin with, it depends on what state or territory you’re in. The Family Law Act is relevant legislation for the majority of Australians, although a slightly different regime exists in Western Australia. Grandparents can use the provisions in this legislation to make applications to the court for grandchildren to live with them, or to ensure they have contact with them. Although this law is most relevant in situations where there has been a separation or divorce, it can be used even where the parents are still together. Whether the child is at risk of harm. The advantages of having meaningful relationships with their parents in the future, rather than just one or the other. The child’s right to their culture and background, especially if they are of Aboriginal or Torres Strait Islander heritage. Obtaining a Parenting Order through the Family Law Act is not the only avenue through which these matters may be pursued. In NSW for instance, if you are concerned about the welfare of a child, you can Report your concerns to the Department of Family and Community Services (or, FACS). Down the line, this may lead to the Children’s Court considering the question of who should have parental responsibility for the child/children in question. If any of the situations we’ve described sound familiar, speak to us, and we may be able to help. CM Lawyers are a Sydney Family Law firms with offices in Marrickville. If you need legal advice or representation in your family law situation, we can help. Find out more by heading to family law NSW fact pages.